At Godfrey and Kahn SC it’s all about business and professionalism. The firm is a major litigation company located Milwaukee, Wisconsin. It has grown into a successful firm by creating superior legal service products. Godfrey and Kahn SC started off in 1967 as a simple litigation company, but over the years it has expanded its practice areas to include a multiple other areas. It has acquired nationwide recognition for its services in employment law, business and finance, general commerce, healthcare, and intellectual property law.  Godfrey and Kahn SC is recognized as the 2011 Best Law Firm by U.S News and Media Group. With more than 50 years of experience in the legal industry, Godfrey and Kahn SC is looked upon by junior firms as a litigation mogul. Their endless pursuit of excellence and constant innovation has been a catalyst to their success. The firm’s professionalism is based on 5 important elements; these include Client success, teamwork, integrity, work ethic, and trust. Advocates working for Godfrey and Kahn SC are trained to incorporate integrity and trust in client relationships. Skilled team of attorney’s at Godfrey and Kahn SC work tirelessly to provide each case with the best alternative legal solutions. Flexibility in their approach allows them to customize legal services and find the best fit for diverse claims. Godfrey and Kahn SC focuses on social responsibility and ensures that its nation’s citizens have access to legal services. The firm does not compromise on client relationships for monetary gains or profit. Godfrey and Kahn SC engage in many pro bono activities and helps protect the rights of poor families/individuals. Attorneys at Godfrey and Kahn SC are recommended to commit at least 50 hours of legal services to pro bono work. They are required to participate in education related programs, community development projects, and take part in the representation of low income groups. The firm has also adopted a green office policy to promote environmental issues such as pollution. Their core mission is to improve living standards of people in the society and work for a better future.